This world-renowned Jewish American composer is working directly with our music students, faculty, and alumni. 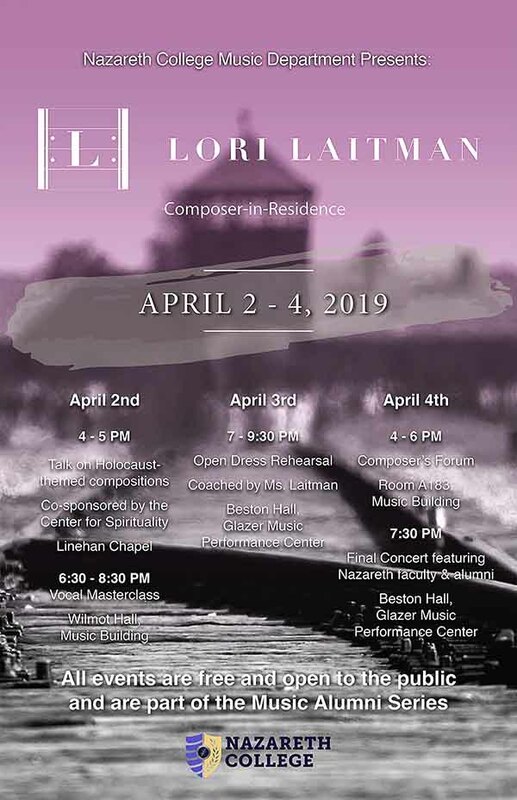 Lori Laitman has been described by Fanfare Magazine as "one of the most talented and intriguing of living composers." She has composed multiple operas and choral works, and over 250 songs, setting texts by classical and contemporary poets (including those who perished in the Holocaust). Her music has generated substantial critical acclaim. The Journal of Singing wrote "It is difficult to think of anyone before the public today who equals her exceptional gifts for embracing a poetic text and giving it new and deeper life through music."